Watseka is celebrating it’s 150th anniversary this year, 1867-2017. 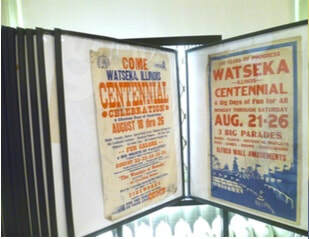 The main sesquicentennial celebration was held the weekend of June 9-11 with activities going on in several areas of Watseka. The museum grounds was one of the areas. ​Catherine Williams and Marti Menges, along with some help from John Menges and Susie Canady set up quite an extensive display representing the history and development of the Watseka area. They also gave a presentation in the Courtroom of the Old Courthouse Museum during the celebration in June. 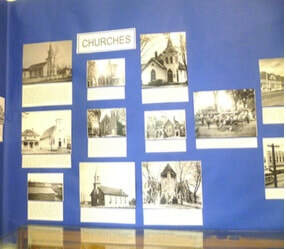 This display features photos of scenes, businesses, schools, churches, homes and people who have been a part of Watseka over those 150 years. 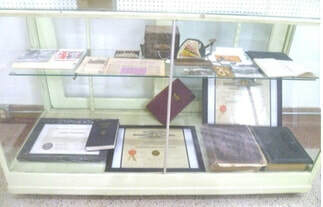 The display also includes artifacts, such as business items, school yearbooks, special certificates and posters. Each item has informational signage with historical research. 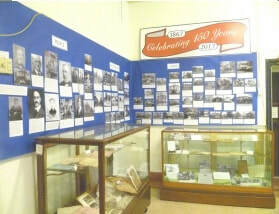 The display will be up for several months. It is located on the main floor of the museum, outside the Genealogy Archives. Try not to miss this wonderful history lesson!